But the flagship V-Drums TD-50 series is something truly special, representing the next chapter in electronic drumming – and if you’re a prospective TD-50 owner, then get ready to be part of something even more special. 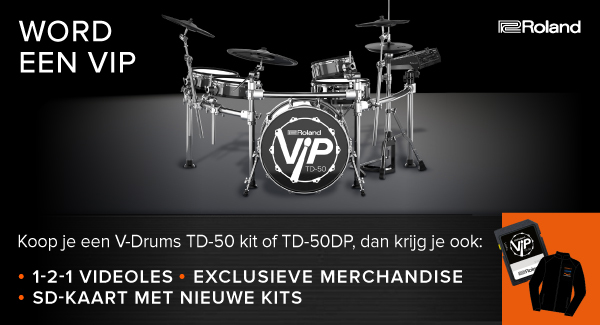 We’re inviting new TD-50 owners to join Roland’s new TD-50 VIP scheme, with a range of benefits designed to ensure you get the most out of owning the finest electronic drum kit available. So if you’re ready to take your drumming to the highest level, visit Drums Only, play a TD-50 and find out what the future of drumming sounds like.